If you’re interested in a buying a compact SUV, you’re not alone. Many drivers desire these vehicles for their perfect balance of power, functionality, and advanced technology, and they provide an exceptional driving experience perfectly suited to many Americans’ lifestyles. While searching for the perfect compact SUV, two names inevitably crop up: the 2019 Jeep® Cherokee and the 2019 Subaru Forester. While both vehicles boast exceptional credentials, they’re not created equal. Here’s a comparison guide to the 2019 Cherokee and 2019 Forester. The Jeep® Cherokee boasts American-made power and capability, offering three advanced powertrain options to drivers. Even its standard power is not for the faint at heart: the Cherokee comes equipped with a standard 2.4-liter TigerShark® MultiAir® 2 engine that churns out 180 horsepower, 170 lb-ft of torque, and is capable of towing up to 2,000 pounds. In spite of such power, the Cherokee is magnificently efficient: it boasts up to 31 mpg on the highway. You can also upgrade to the 271-horsepower 3.2-liter Pentastar® V6 engine which can tow up to 4,500 pounds, or the 2.0-liter Turbo engine, which boasts 295 lb-ft of torque and can tow up to 4,000 pounds. The Subaru Forester offers admirable standard power, but you only have one powertrain option. It comes equipped with a standard 2.5-liter SUBARU BOXER® engine that delivers 182 horsepower and 176 lb-ft of torque. Despite being perfect for a variety of driving situations, the lack of engine upgrade options is rather disappointing. The same problem with the lack of powertrain options repeats itself in this category for Subaru. The 2019 Jeep® Cherokee offers three different 4×4 system that you can choose from, allowing you to choose the system that best meets your needs and lifestyle. The three systems are Active Drive I, Active Drive II, and Active Drive Lock. Active Drive Lock I includes a switchable rear axle disconnect for improved efficiency, and Active Drive II adds a low range and Neutral driver selectable mode. Active Drive Lock features a rear locker for improved traction while on off-road adventures. The Forester offers Subaru Symmetrical All-Wheel Drive, which will generally improve your traction and control while driving in difficult weather or road conditions but lacks the Jeep® Cherokee’s versatility. 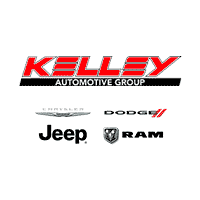 If you’re ready to take the Jeep® Cherokee for a test drive, contact us at Tom Kelley CDJR. *Cherokee: EPA estimated with a 2.4L engine and nine-speed automatic transmission, 4×2. Actual mileage may vary.